Introducing notebook mockup set. 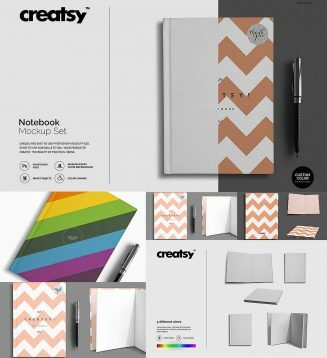 Notebook template – layered, editable psd file prepared to showcase your custom design, by simply editinng the smart object and color layers. Tags: calendar, clean, custom, notebook, printable.